One panelist slot in the relevant conference session. Exclusive branding of the sponsor as Delegate Kit Partner. Sponsor's name and logo will be printed on the bags, pens and writing pads. The sponsor's literature will be inserted in the Delegate Kit. -will be displayed on the Smart Cities India website with a hyperlink to your website. Sponsor's company and product profiles will be printed in the Show Directory. Sponsor's listing will be included in the Post Show Report. Attractive Lanyards will be distributed to visitors, invitees, media, conference speakers, delegates, sponsors and exhibitors on all days. An excellent medium to attract visibility and make your presence felt with every attendee. Exclusive branding of the sponsor as Lanyard Partner. Sponsor will gain high visibility at the venue with the name / logo prominently displayed on each Lanyard. Workshops provide an ideal forum to disseminate information to market products/services to a focussed audience. Sponsor a workshop and influence the right audience to etch your brand name and establish ubiquitous presence at the show. . Sponsor will be provided with a conference room at the conference venue. 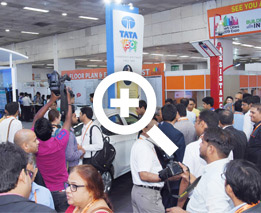 Every participant including visitors, invitees, media, conference speakers, delegates, sponsors and exhibitors wear Exhibition and Conference Badges on all days. This guarantees a continuous display of the Sponsors name and logo at the venue. Exclusive branding of the sponsor as Badge Partner. Sponsors name and logo will be printed on the Exhibition and Conference Badges. Associate sponsorship provides a unique opportunity of visibility to grab attention and brand recall. Sponsors name and logo will be prominently displayed at the conference Tea/Coffee venue. Sponsor's name and logo will be prominently displayed at the conference Lunch/Tea/Coffee venue. The sponsor will receive 4 complimentary delegate passes. The Industry Reception encourages interaction amongst the participants including exhibitors, sponsors, speakers, delegates, invitees, media and an impressive list of who's who in the industry. The Industry Reception is an excellent opportunity to maximise visibility to reinforce your corporate identity. Exclusive branding of the sponsor as Industry Reception Partner. Sponsor the Exhibition Invitation Cards delivered and / or mailed to committed professionals of the industry nationally and internationally. This guarantees top-of-the-mind brand recall with all the visitors who enter the exhibition as well as all those who receive these Exhibition Invitations by mail. Exclusive branding of the sponsor as Invitation Partner. Sponsors logo and profile will be printed on the Invitation Cards. Achieve maximum visibility with your company logo displayed prominently on the Registration Counters, ensuring instant visibility with all visitors. Sponsors name and logo will also be printed on the Visitor Registration Forms. Visitor Registration Forms are filled up at the Registration Counters during the event, and in addition, are also mailed to attendees, delegates, speakers, exhibitors prior to the event. Exclusive branding of the sponsor as Registration Partner. Prominent display of Sponsor's branding at Registration Counters. Sponsor the VIP Lounge and avail of a superb opportunity to attract celebrity attention. The VIP Lounge is a fully furnished hotspot for the industry leaders including conference chairpersons, speakers, VIPs and special invitees to conduct business whilst attending the event. An outstanding opportunity for the sponsor to etch your brand name at the event. Exclusive branding of the sponsor as VIP Lounge Partner. Sponsors logo will be prominently displayed in the VIP Lounge. Sponsor may keep corporate literature in the lounge. The Media Centre is the hub of all media activity at Power of the big 5. Capture the attention of the press and your message or announcement will travel far beyond the show audience. Exclusive branding of the sponsor as Media Centre Partner. Sponsors logo will be prominently displayed in the Media Centre and bulletin board. Sponsor may keep corporate literature in the Media Centre. All press releases, newspapers / magazine clippings are displayed on the bulletin board. Visitor Transport Vehicles ply continuously from the exhibition ground entrance and the protocol office to the exhibition hall. The sponsor's name and logo will be displayed prominently on banners placed on the Visitor Transport Vehicles. The sponsor can achieve maximum visibility at the event with visitors. Place your company banners at the Smart Cities India venue to grab instant recognition and attention. Use the banners to build top-of-the-mind brand identity. Please provide the artwork and colour scheme and we will do the rest for a worry free display. A) In Hall Banners: Large horizontal In-Hall Banners positioned on the beams of the halls are highly recommended for great visibility. B) In Hall Pillars: Large vertical (4 sided) In-Hall Pillars at the entrance foyer of Hall 12A offer an attractive location to place advertisement and are highly recommended for great visibility at the event. There are three (4 sided) pillars at the entrance of Hall 12A. C) Lamp post Banners/ Buntings: Vertical 5 feet (h) x 1.5 feet (w) banners / buntings placed on Lamp Posts outside the exhibition halls and are highly recommended for maximum visibility at the event. There are 10 lamp posts outside the exhibition halls. Comprehensive packages can be tailored to meet your promotional budgets. 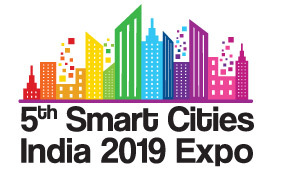 For further information, please contact the Smart Cities India team.